Weighty Matters: Disney Creates World's Vilest Burger? 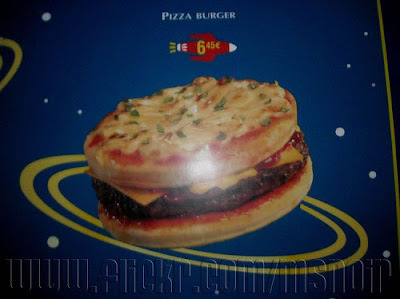 Served with pride in Disneyland Paris' Buzz Lightyear Pizza Planet is a burger with pizza for a bun. Thanks Disney for providing yet another healthy option for the children.